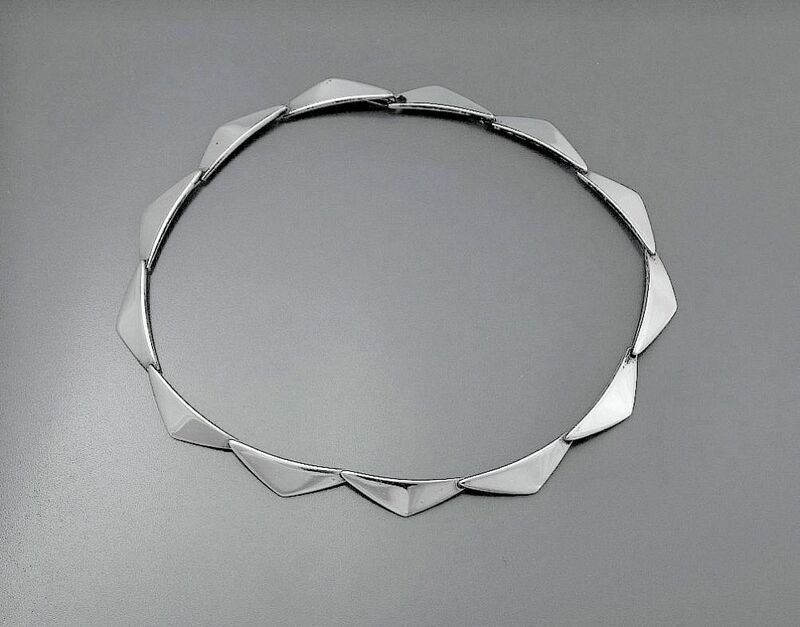 This very stylish vintage silver necklace by Hans Hansen the Danish designer is made of a series of articulated silver curved elongated triangles. 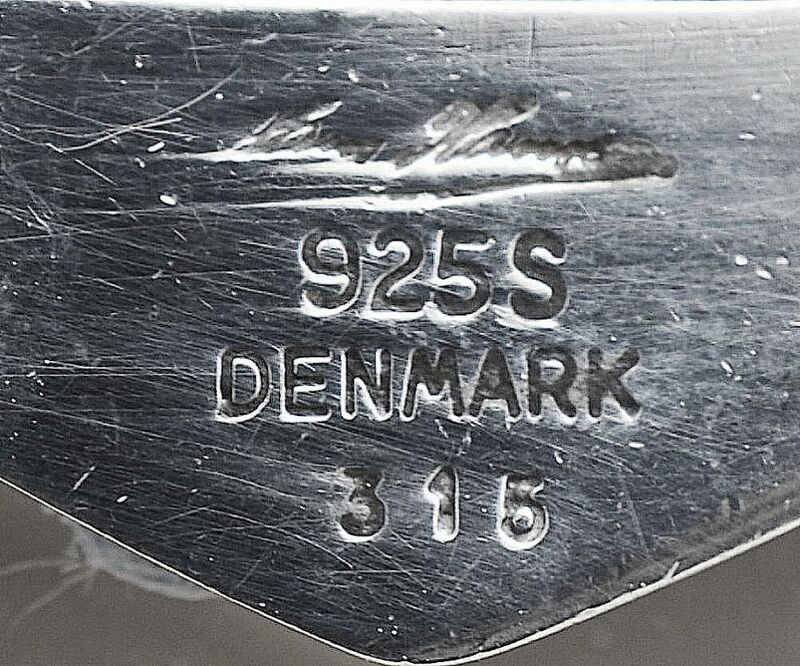 It has Hans Hansen' facsimile signature and is stamped Denmark 925S 315and probably made in the 1960s-1970s. A lovely piece for everyday wear.